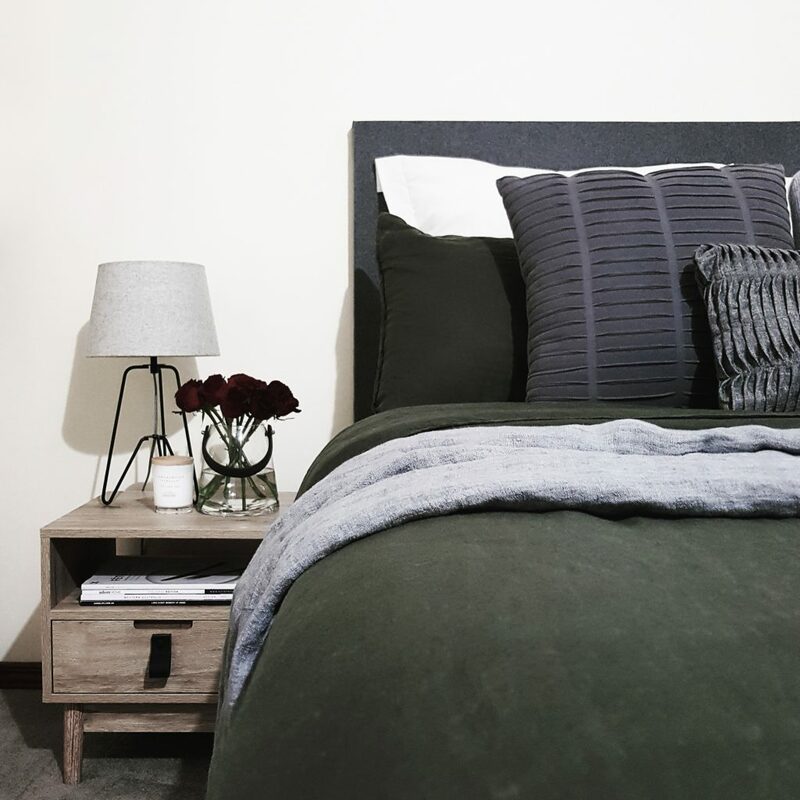 Your bedside table is one of the last things you look at before you go to sleep and one of the first things you look at when you wake, so keeping the area clutter free and clean is essential to having a restful nights sleep. Your night stand isn’t just a place to store your mobile devices while they charge. Think about the function of your bedtime and morning routine. If you read before going to sleep, incorporate your favorite book into your styling, if you sleep with a glass of water by the bed, try adding a marble or wooden tray to the table top to rest your glass on. 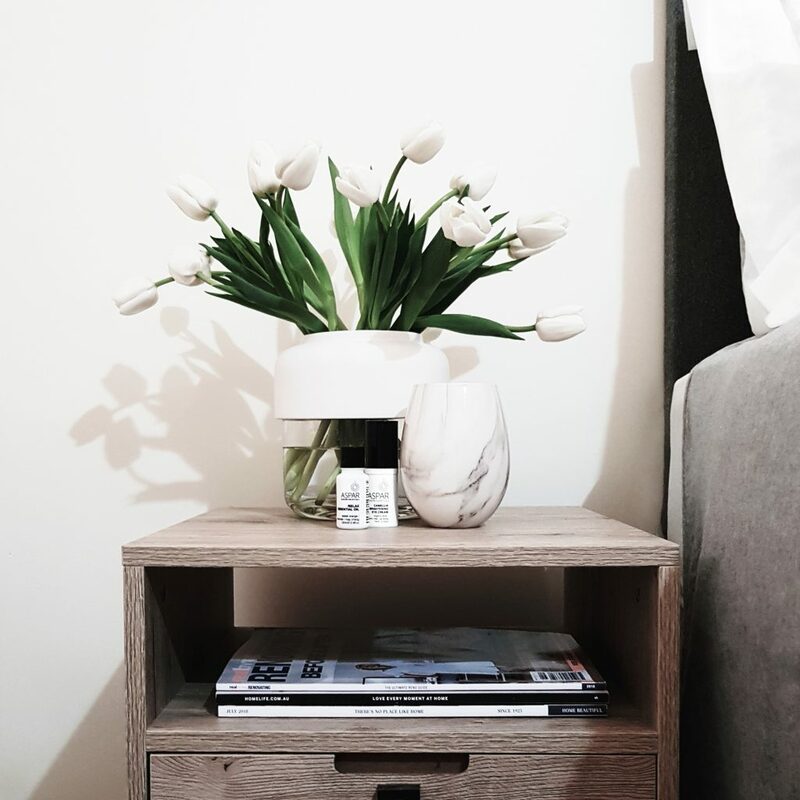 A relaxing scented candle, a silk eye mask, photo frame, your favorite hand cream or fresh flowers are also great items to group together to create a stylish, yet functional, bedside vignette. Colour has the amazing ability to make us feel certain emotions, so think about the mood you’re wanting to create in your bedroom. 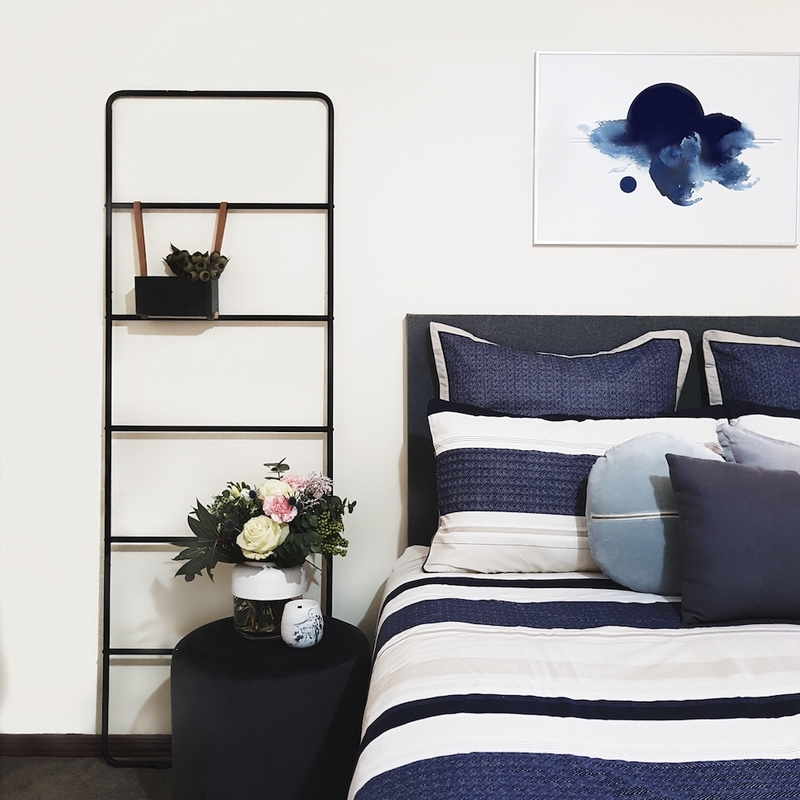 Blue, green, grey, coral and white tones are proven to convey a sense of calm and relaxation, perfect for a bedroom. Pinterest is great source of inspiration for colour schemes. Save some of your favorite images and you will start to see a pattern of the colours you are drawn to. The trick to styling the perfect minimalist look is balance. The human eye is naturally drawn to aesthetically appealing shapes and symmetry, so choosing pieces that vary in height and size, mixing different textures, shapes and patterns together will be far more appealing then having a stand alone lamp or a grouping of objects of the same height. Try layering items, like books or magazines, as your base, then place the other pieces on top and beside them to create the varied heights. Good lighting is key to any space and the bedroom is no exception. When choosing your bedside lighting you need to think about the style, the wattage of the globe and reflect, as well as the type of light. The most popular choices are your bedside lamp, drop pendant or wall sconce. 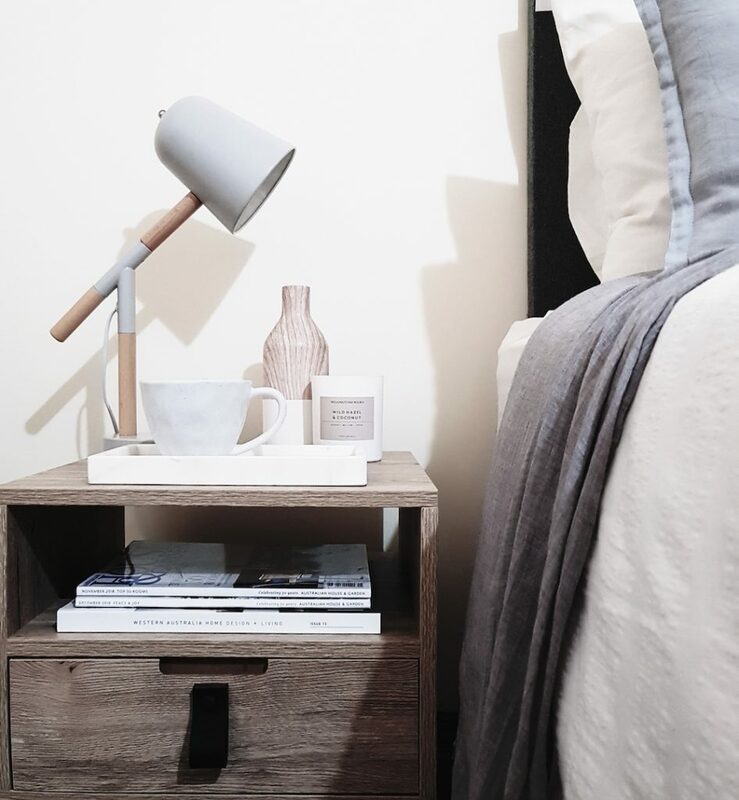 Remember to consider the size and shape of your bedside table too, for instance, a large extending lamp on a small round table is going to look unbalanced and out of place. Continually take a step back and look at your styling. Does it look balanced? Is it too cluttered? Does your bedside table mesh well with the rest of the room? If something doesn’t feel “right” try removing an item or rearrange one or two pieces. By far the most important thing to ask yourself when styling any space is, do you love it? The pieces you select to showcase should represent and be functional to you, I’m a firm believer that nothing is ever out of style if you love it. 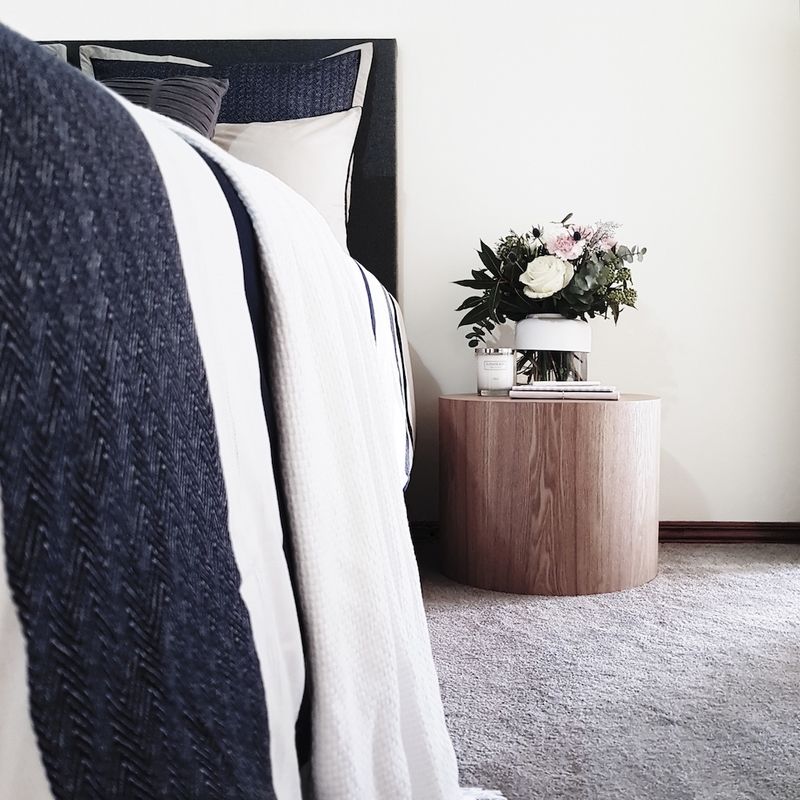 Em Pearman of Stilettos & Bricks is a product & interior stylist, living in Perth Western Australia. 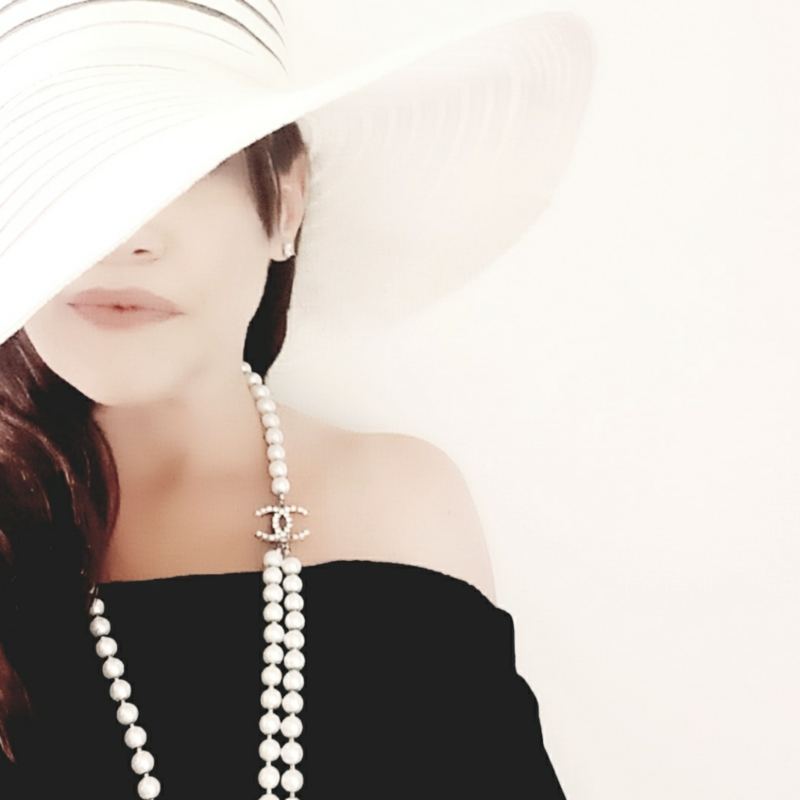 Em has created content & styled for many leading brands including Clinique Australia, Big W, Sheridan Australia, Salt & Pepper Home, Yves Saint Laurent, Daniel Wellington, Summit Homes Group & Ecology Homewares.